We don’t know about you, but this changing season has our skin feeling a bit manic. Luckily the best solution for that just so happens to be our favorite skin care solution — masking! 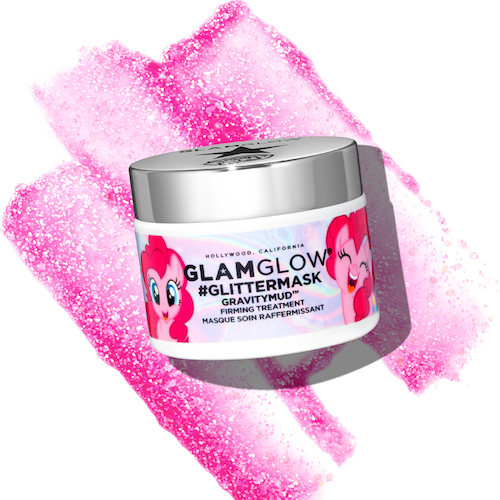 GlamGlow must have read our minds, because they’re collaborating with My Little Pony on three gorgeous glitter peel-off masks and we can’t wait to get our hands on them. Who better than our magical pony friends to deliver a glittery feast for the eyes? The GlamGlow glitter masks are inspired by the sparkly shades of three beloved ponies: Princess Luna, who we all know as a powerful princess and beauty icon; Pinkie Pie, the socialite and life of the party; and Twilight Sparkle, the lovable perfectionist. GlamGlow’s past collaborations have perfectly captured their source of inspiration. Who can forget the Power Rangers Rita Repulsa mask? So it makes sense that they’d pick such vibrant, sparkly muses for their glitter masks. You will have to wait a couple more weeks, though, since this dream collaboration will be making its debut in April. And now, let’s get down to brass tacks, shall we? 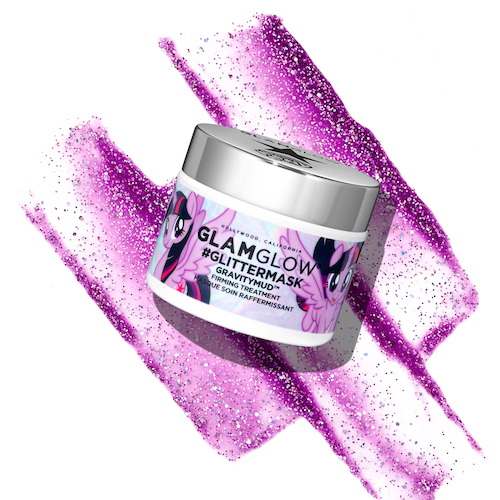 The GlamGlow x My Little Pony Glitter Peel-Off Masks will be available for $59. The packaging is on point, as usual — no surprise there! The mask includes a brush so you’ll be able to swipe the mask on, mess-free. 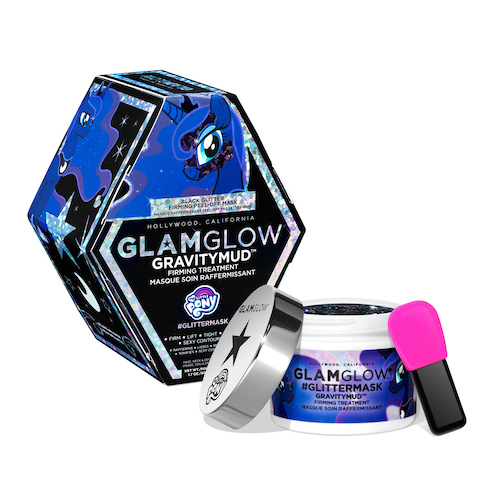 And as with all GlamGlow masks, these Glitter masks give you all the benefits of GlamGlow’s original GravityMud Firming Treatment. So you’re getting powerful, targeted incredients that help your skin look firmer and more defined. Let’s take a look at each of the different masks in the GlamGlow x My Little Pony collaboration. Keep your eyes peeled for these beauties, we have a feeling they’ll be flying off the shelves.